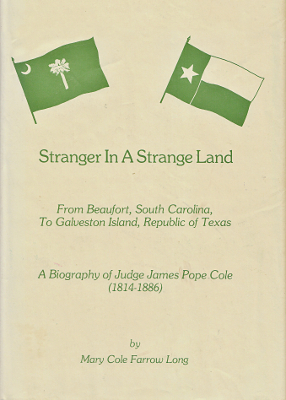 Description: James Pope Cole (1814–1886) was an early settler of Galveston and chief justice of Galveston County, arriving here in 1839 to begin a law practice. He served as secretary and agent of the Galveston City Company, which owned the site of Galveston. Cole was probate judge and served as city recorder for two years. Edition limited to 150 copies. Viewed: 404 times since November 18, 2017.